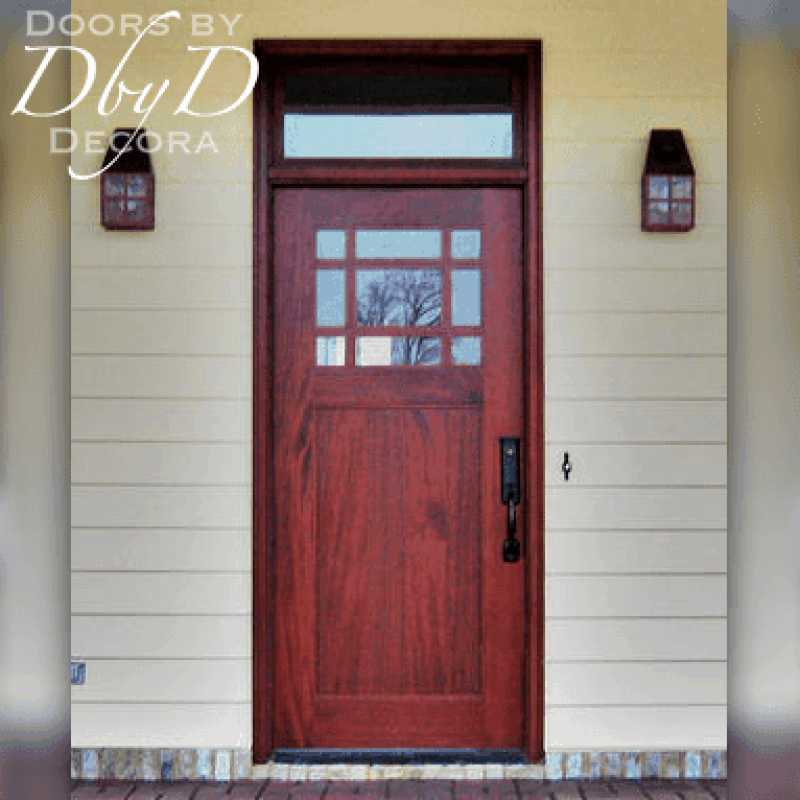 Mission style is a design the emphasizes simple horizontal and vertical lines and flat panels that accentuate the grain of the wood. 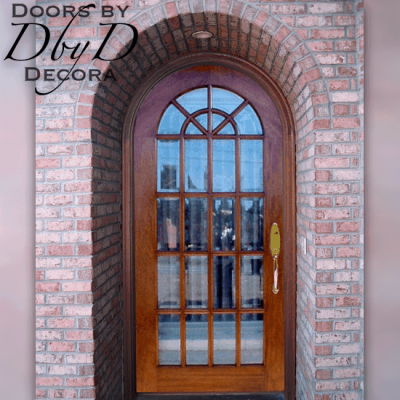 Almost all of Doors by Decora’s mission style doors can be found in our Craftsman Collection. 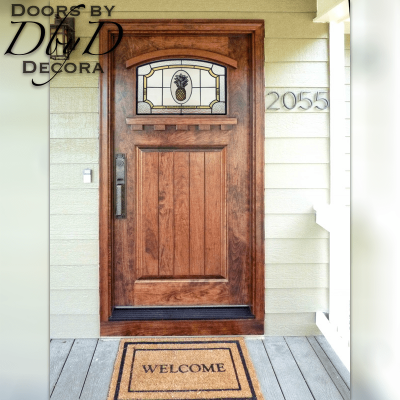 We can build our doors from almost any hardwood, however, many of these craftsman style doors are made of oak and quarter sawn oak which has a bold and beautiful grain line. 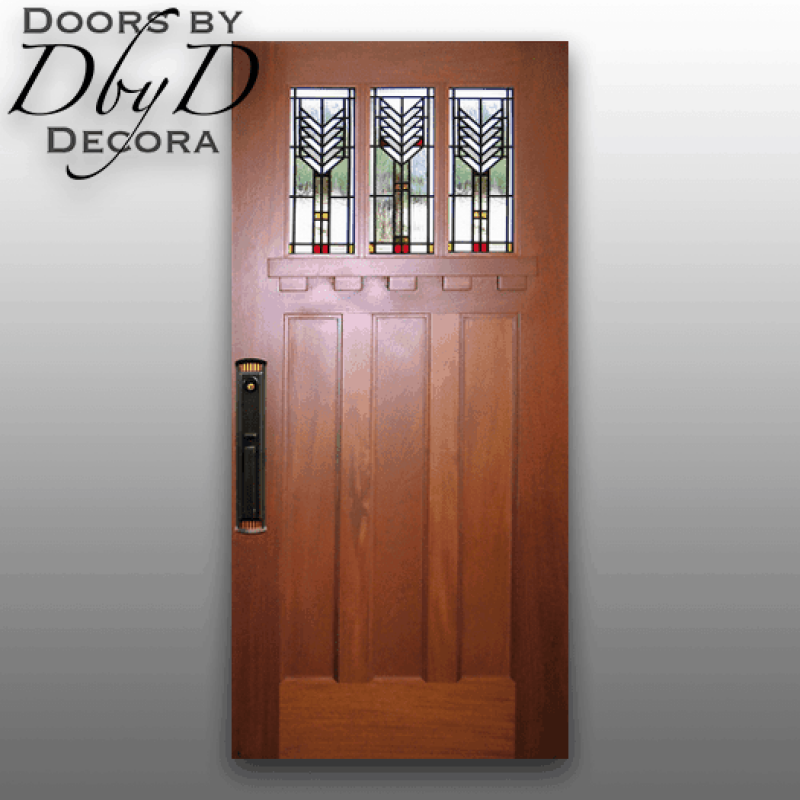 In addition, our mission style doors can also feature stained glass designs inspired from traditional craftsman designs. 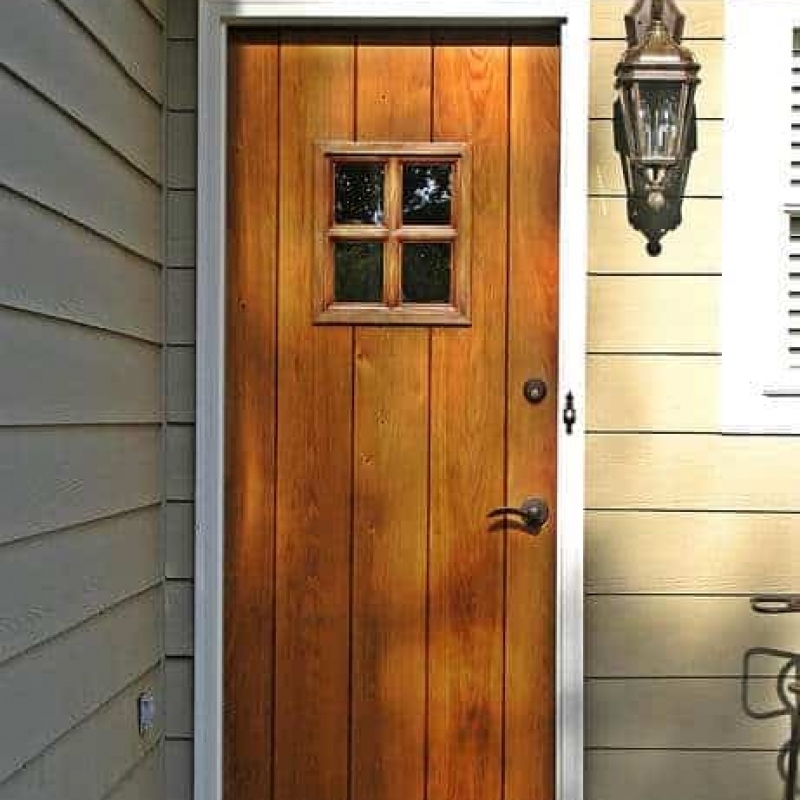 You can see a few of our favorite mission style doors below or you can View All Craftsman Doors. 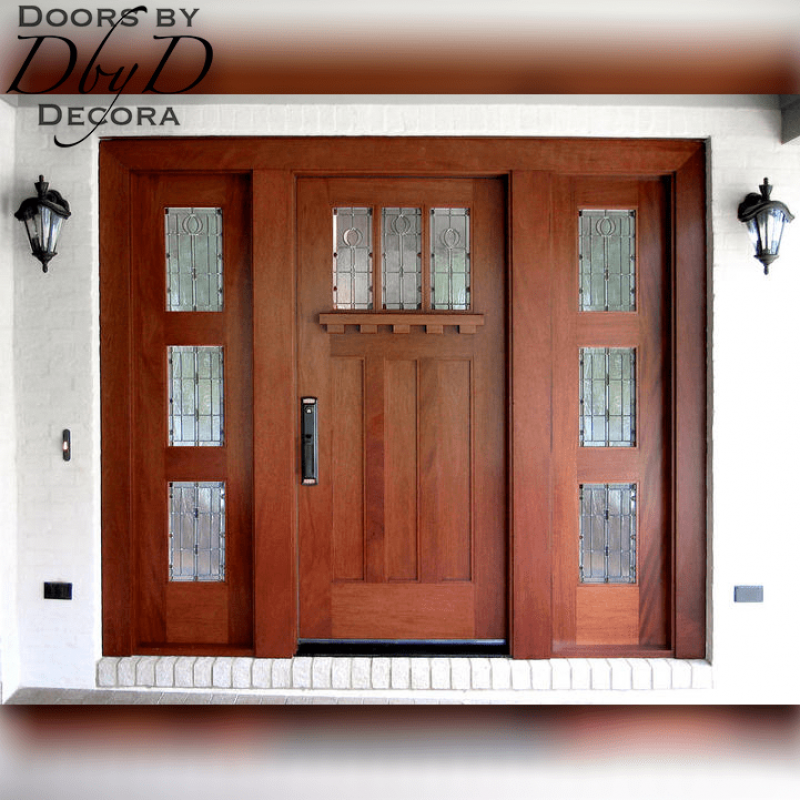 At Doors by Decora, we use many design elements to help our doors achieve that tradition mission style. 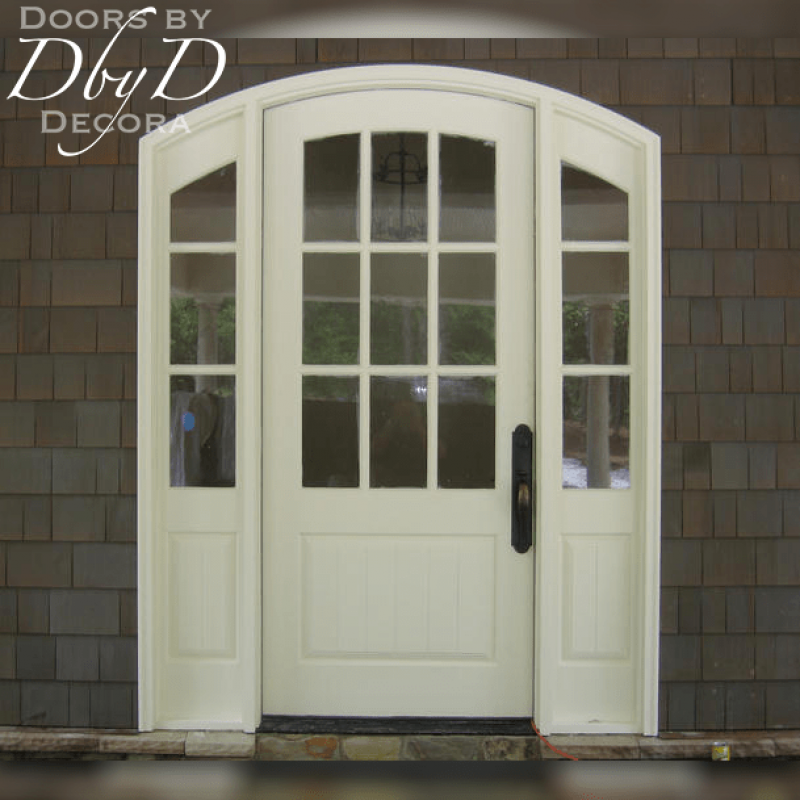 First of all, we have replaced our traditional raised panels and we use a flat panel instead on many of these doors. 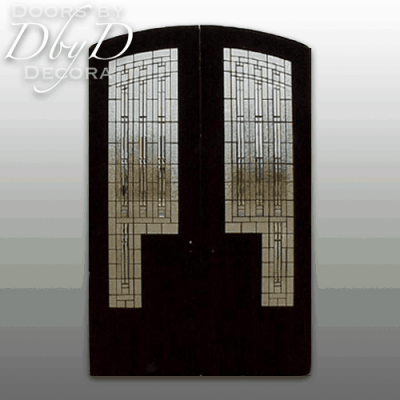 Consequently, these flat panels create a clean simple line allow the grain of the wood to shine through. 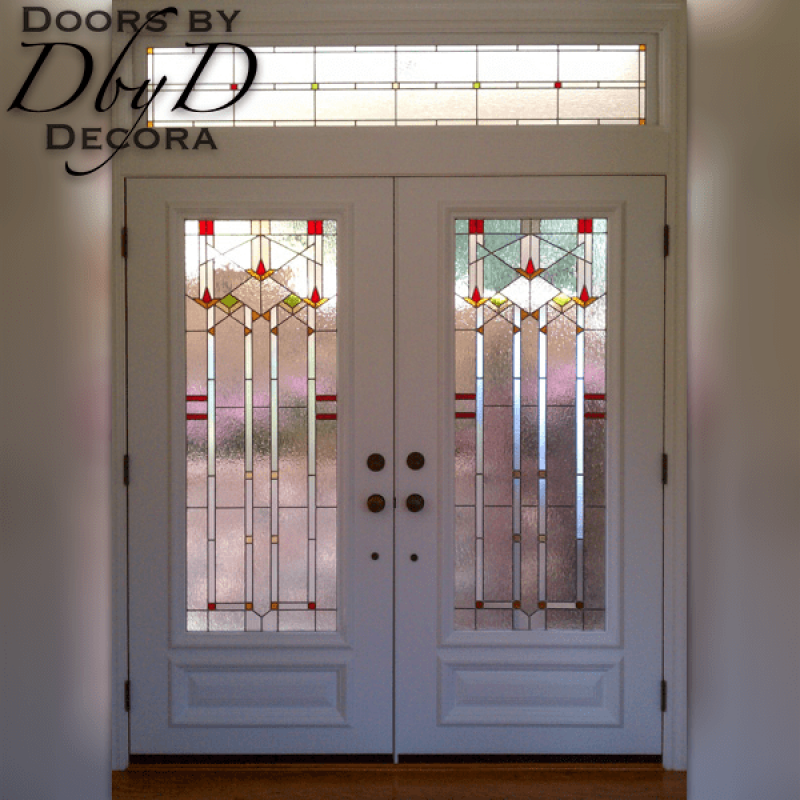 In addition to flat panels, another design feature of a mission style door would be simple leaded glass. 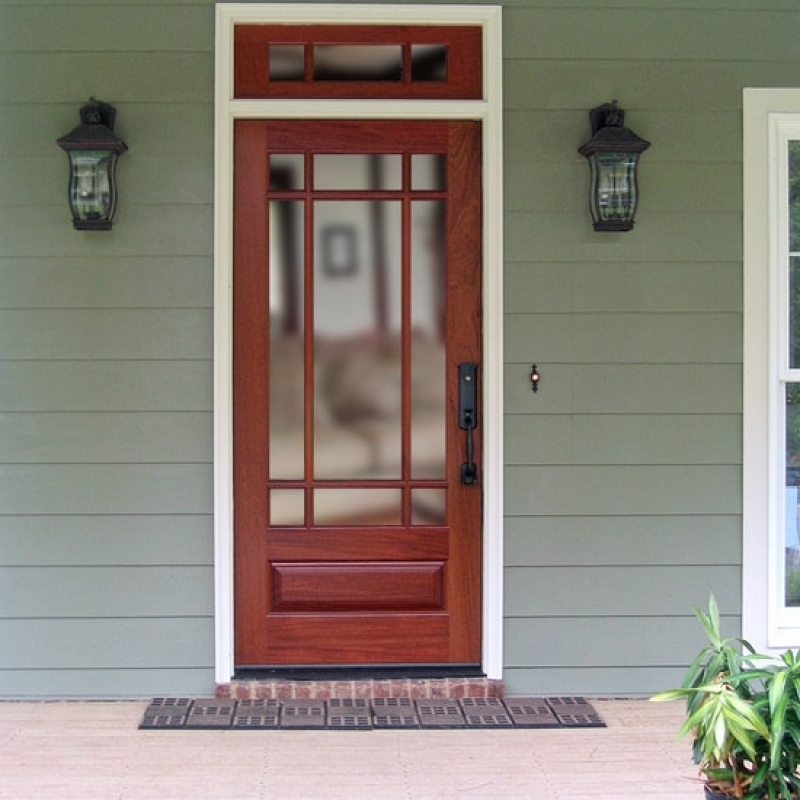 As you look through our Craftsman Collection, you will see many examples of mission style glass. 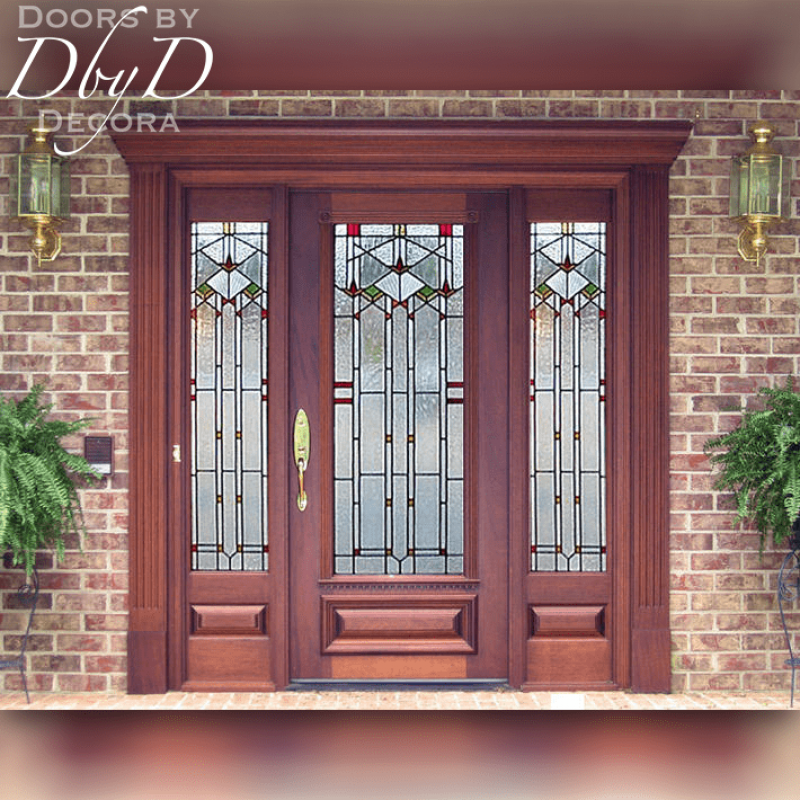 Due to our own in-house stained glass studio, our artisans can create any design using clear glass, or beautiful organic colors to create just the look that you want. 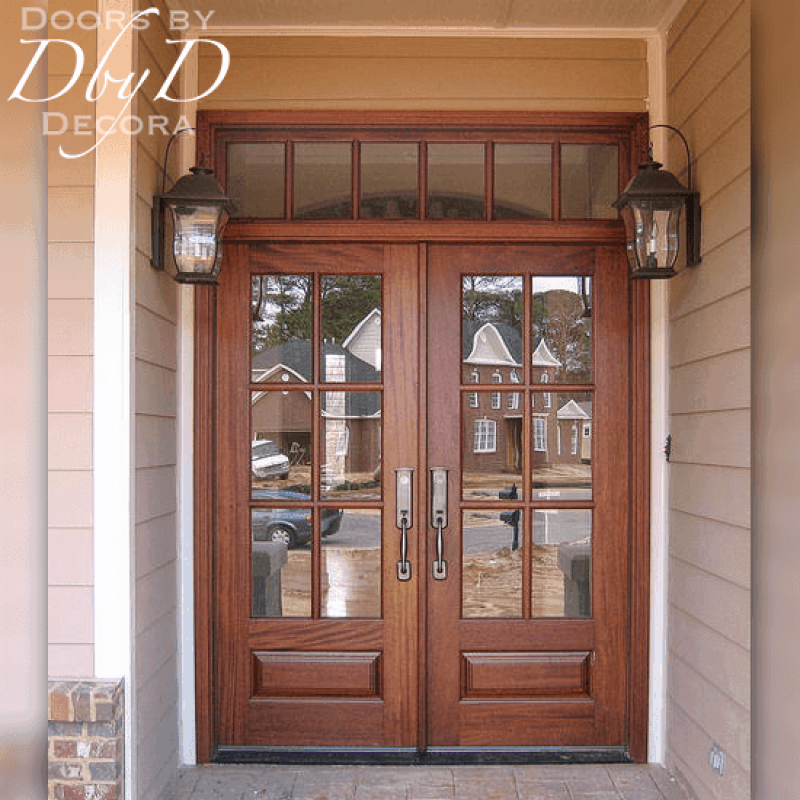 Many of these details are featured in the doors below, or you can view all of our Craftsman Doors.